Last week, Jonathan and I learned about the Ten Commandments. Although it was a rough week, we made it through our Bible lesson, so that was a success! We read the story out of Jonathan's favorite toddler Bible, The Bible in Pictures for Little Eyes. The Ten Commandments were covered in one short story, which was good but I wanted a little more detail this time. I found a copy of The Ten Commandments for Children by Lois Rock in our local library. 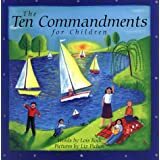 This story gives the ten commandments in child-friendly language and emphasize how the Ten Commandments help us know the good and right way to live our lives. Some are simplified such as "Husbands and wives- keep your special love just for each other" instead of "Do not commit adultery". I liked this explanation for toddlers. Other books that were recommended to me (but not in our library system) are The Ten Commandments for Little Ones by Allia Zobel-Nolan and The Story of the Ten Commandments by Patricia Pingry. I think we may try to purchase these for next year. 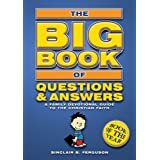 We also went through part of the Big Book of Questions & Answers by Sinclair B. Ferguson. This is a great book for grounding children in the Christian faith. It's aimed for elementary age students, but I found the explanations of the ten commandments very applicable for toddlers. The ten commandments are covered in questions 39-50. We read two questions per day-- usually at breakfast and lunch. We played the "perfect" game. We tried to sit perfectly quiet and still-- which was obviously hard for my Jonathan to do! The point of the perfect game is to show that no one is perfect. We all make bad choices and we can't keep God's perfect law. God's rules are meant to show us that God is perfect and we are not. God sent Jesus to live a perfect life so that we can be forgiven. 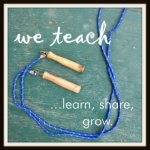 We made a Ten Commandments train, using a printable I found here. To add a little math practice, I cut out the train and put numbers on each car. Then I had Jonathan put the numbers 1-10 in order and glue the pieces down on a long piece of paper. He loves choo choo trains, so this was a hit! As we read our Ten Commandments books, we pointed to the appropriate train car. So we wrapped up our study of Moses last week, now it's on to Joshua!